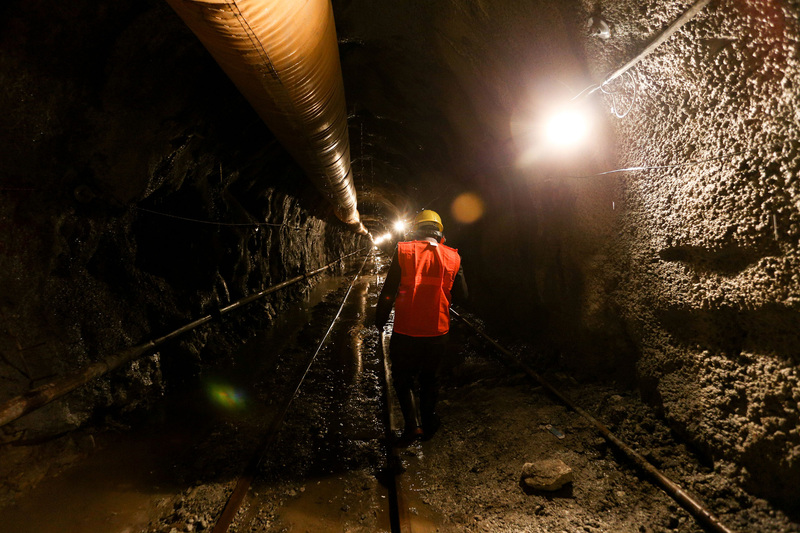 “Thakur and Kadel told the CMC manager for the Melamchi project that they wanted a discount of Rs 62 million on the payment and a cut of 3 percent on the remaining Rs 300 million,” said the CMC official in an interview over the phone from Ravenna, Italy. Kadel, too, denied charges that he had asked for a commission but admitted that he had asked for a discount in the payment as per the overhead cost deduction—as instructed by the adjudication board. According to Kadel, the discounted amount would total nearly Rs 25 million. The government had roped in the Italian company in 2013 after terminating the previous contract with China Railway 15 Bureau Group, following the latter’s sluggish progress in tunnel and headwork construction. After signing a Rs 7.72 billion deal with the government that year, the Italian contractor started work at Sundarijal in January 2014. Following the 2015 earthquake, the Italian contractor had to perform additional work—beyond what was stipulated in the original contract—at the Melamchi site. When the work was done, it billed the government for Rs 1.56 billion on top of the deal it had originally signed in 2014. Here’s how the Italian group calculated Rs 1.56 billion for the additional work: a direct cost of Rs 476 million for construction material and labour equipment, and Rs 974 million in indirect costs, for daily operations, salaries, bank guarantee interest, and electricity, among others. The indirect cost was calculated at Rs 1.7 million per day prolongation cost, as the amount decided by the dispute adjudication board for 570 days—the length of time CMC said it took to finish the work. In 2017, the government released a partial payment of Rs 253 million out of the total direct cost. The CMC had also demanded Rs 13 million for road construction work—also part of the total Rs 1.56 billion—which was paid in September the same year. However, the lump sum bill CMC submitted to the government also included Rs 190 million, the amount requested by government officials as their commission. However, the CMC official said the cost had to be hidden under the category “loss in efficiency” because they couldn’t use “cut for the employer” in an official bill. “The bill was padded with the additional Rs 190 million because the persons in charge from the government side requested that the CMC management at the time—Giuseppe Di Giorgio and Salvatore Casciaro—to add this amount, so that the government officials could take their cut and release the amount requested by CMC,” the official for the Italian contractor told the Post. Seven months later, the board ruled in favour of the Italian builder, saying the government should pay the contractor Rs 362 million. The board, however, also said the CMC should only be compensated for 233 days, against its initial claim of having worked for 570 days. “We had hoped that the government would also release the remaining Rs 213 million as well as the amount decided by the board,” the official told the Post. In a letter dated October 26, 2018, the adjudication board said that the sum was to be paid within 21 days of the receipt of the decision. “There was an agreement that monthly payments would be released quickly in order to ensure progress, and in return, we would pay them a minimum of one percent every month,” said the CMC official. Each of these monthly commissions ranged between Rs 2 to 3 million. 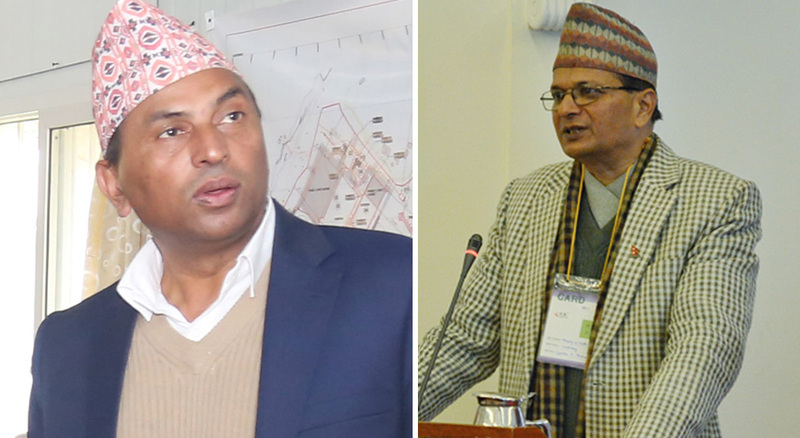 (Left) Surya Raj Kadel, executive director of the Melamchi Water Supply Development Board (post file photo) and (right) Gajendra Kumar Thakur, former secretary at the Water Supply Ministry (Photo: WHO-NEPAL). Bira Furniture, according to the official, provided services for the construction of the site camp and the supply of furniture and house appliances. The company also supplied cement and reinforcement steel. Lately, Shrestha’s Bira Motors has also been renting out construction equipment like excavators, trucks and compressors. Both CMC officials said the cut meant for government officials would be included in the payment for services provided by Shrestha’s companies.